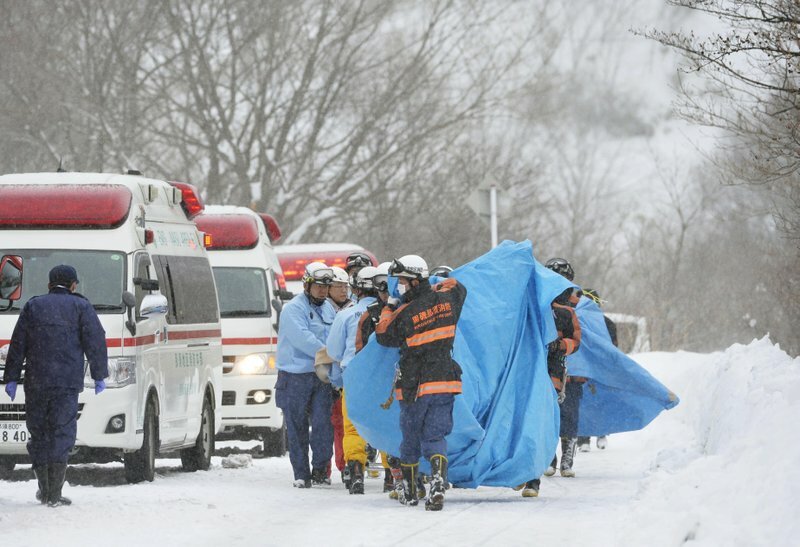 An avalanche killed seven Japanese high school students and an instructor Monday during a mountaineering field trip at a ski resort north of Tokyo, authorities said. Nearly 50 students and instructors were caught by the morning avalanche in the town of Nasu in Tochigi prefecture, about 190 kilometers (120 miles) from the Japanese capital. Police confirmed the death of the eight people late Monday, the prefecture said. Forty other people were injured, including two who were in serious condition, a prefecture report said. Japanese media said the students were on the last day of a three-day training program for members of mountaineering clubs from seven schools in the area. They had earlier reported that all eight fatalities were students. One unidentified student told NHK by telephone that there was a strong wind and he could see a white mass heading toward him. An instructor said to get down, and then everyone was engulfed, he said. 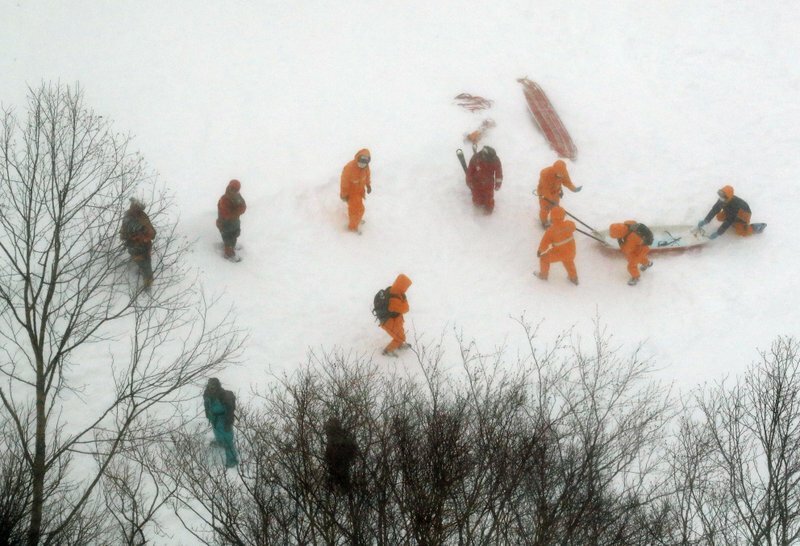 Tochigi prefecture said 40 students and eight instructors were on the slope. Fourteen others in the group did not go out Monday. The ski season had ended at the resort. Rescuers carry the people who got injured in an avalanche at a ski resort in Nasu, Tochigi prefecture, Monday, March 27, 2017. 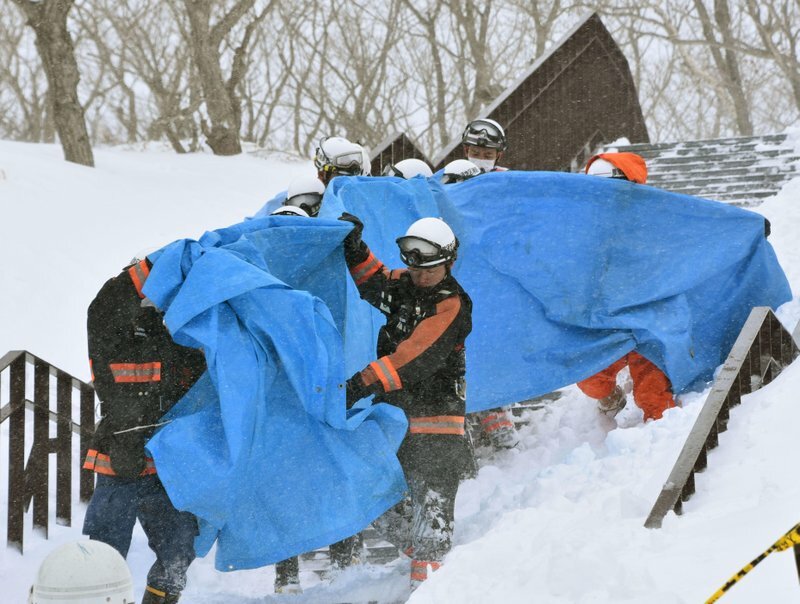 Eight Japanese high school students are feared dead after being caught in an avalanche Monday during a mountain climbing outing at a ski resort, authorities and media said. Rescuers carry the people who got injured in an avalanche at a ski resort in Nasu, Tochigi prefecture, Monday, March 27, 2017. Authorities said six Japanese high school students have been found unconscious after they were caught in the avalanche Monday morning.